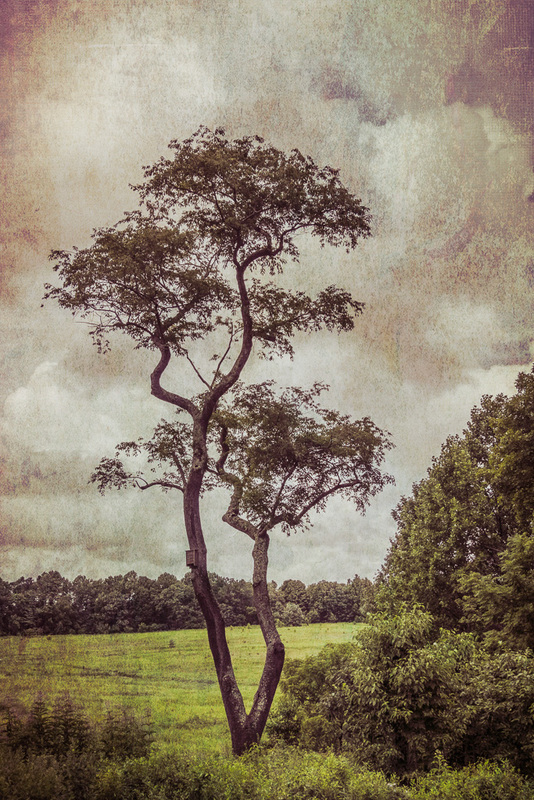 I have walked by this tree overlooking the meadow at Longwood Gardens many, many times. I must have over 100 images of it, taken over the years. On my last visit, I stopped again. It was a nondescript overcast day. I recorded an image anyway. Maybe, I could do something interesting in post. I created this peaceful overcast feeling by simply adding a texture. It captures the way I was feeling at the time. It reminds me a little of the Hudson River painters of the late 19th century. This entry was posted in Textures, The Grand Landscape and tagged Longwood Gardens, textures, trees on September 3, 2018 by kgrafphoto. I have been to Longwood Garden’s orchid display dozens of times. On a recent visit I wandered through looking for a different way to capture the beauty of the display. I thought a double exposure of some orchids rotated about 45 degrees might be interesting. 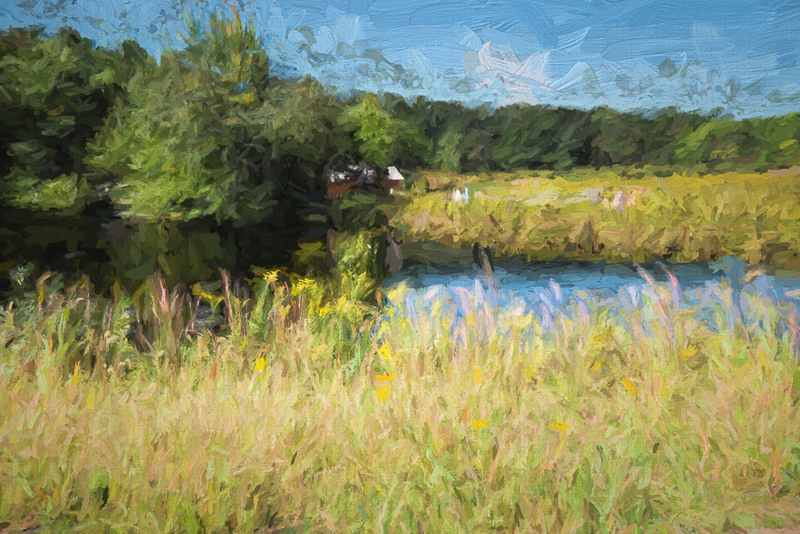 I added a little Topaz Impression to achieve the final result. It is a bright image to start a bright new September. Have a good one! I enjoy experimenting from time to time. It inspires me to look a little deeper. 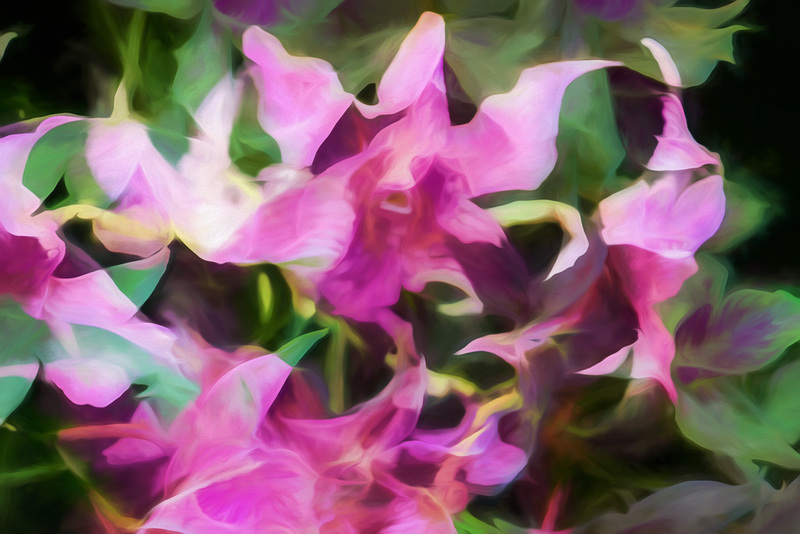 This entry was posted in Abstracts, Flora, Multiple Exposure, Painterly Effects and tagged flowers, Longwood Gardens, orchid, pink on September 1, 2018 by kgrafphoto. This is the first scene I saw as I entered the Longwood Conservatory from the East end. I caught this before a zillion people showed up. I saved my first image for the last Longwood Christmas post for this year. Next year will have many additional interesting opportunities. Goodbye Longwood, at least for the time being. 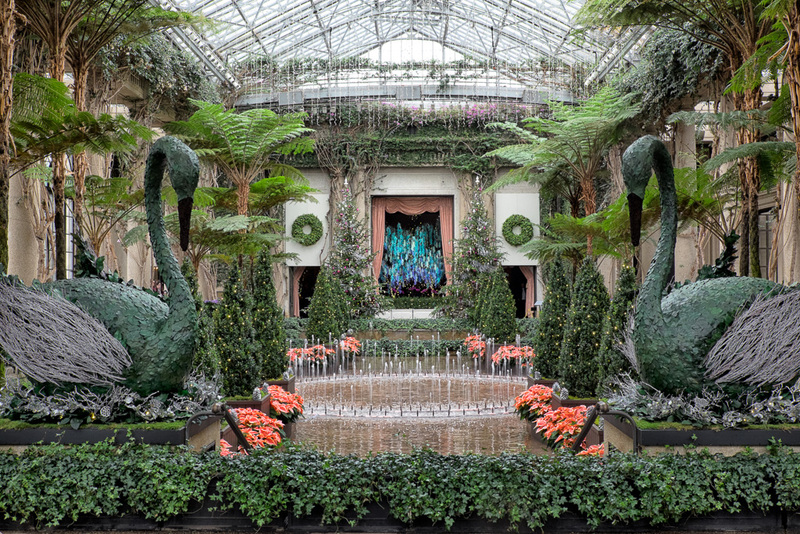 This entry was posted in Flora and tagged Christmas, Longwood Gardens on December 29, 2014 by kgrafphoto. There is always something around every corner or sometimes right in front of you at the Longwood Gardens Conservatory. This decoration was right in front in the East Conservatory as I walked in. It caught my eye as soon as I glanced around the room. I pulled out the details of the twigs and the feathers with a “recipe” that I have made in NIK Color Efex Pro. The recipe is a combination of Tonal Contrast, Detail Enhancement, and Pro Contrast. I then applied Darken/Lighten Center to provide additional focus on the white decorations. The total processing time was less that 2 minutes. 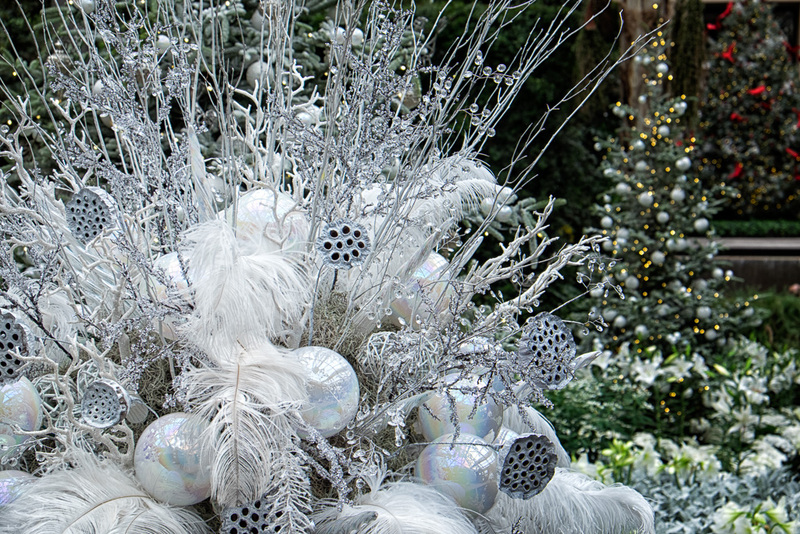 This entry was posted in Details, Flora and tagged Christmas, Longwood Gardens on December 28, 2014 by kgrafphoto. 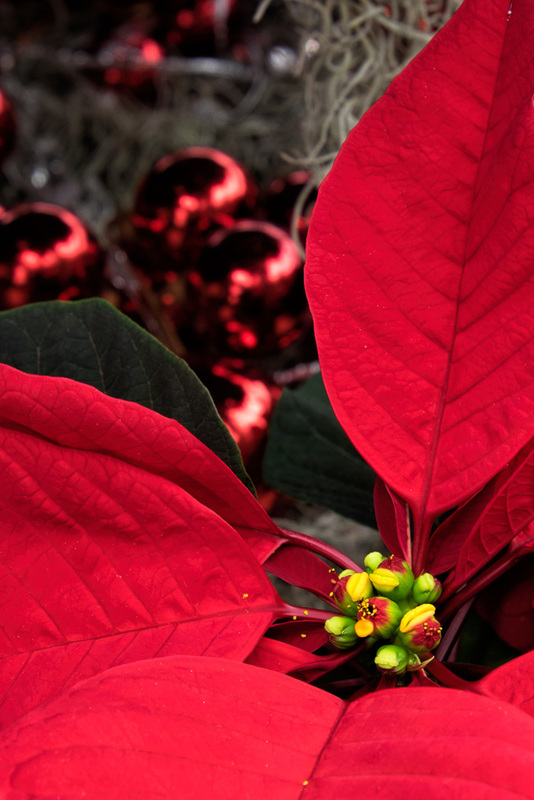 This entry was posted in Details, Flora and tagged Christmas, Flora, leaves, Longwood Gardens, Red on December 27, 2014 by kgrafphoto. The bright light from the ceiling skylight made capturing this photo taken with a small aperture possible. People were everywhere. Patience paid off again while I waited for the scene to clear. I waited over 10 minutes to catch this break. If I would have had a long exposure there would have been people entering the scene. Lessons learned: do not photograph Longwood on a Friday. 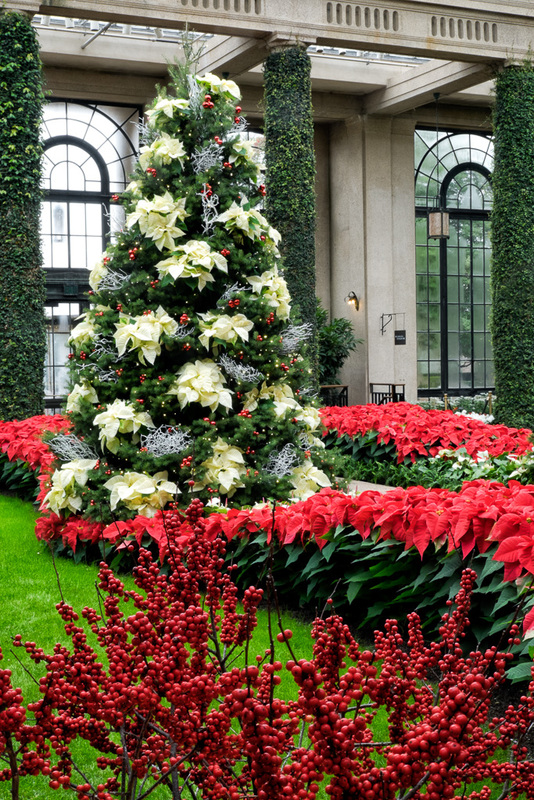 This entry was posted in Flora and tagged Christmas, Longwood Gardens, Red on December 23, 2014 by kgrafphoto. Now that I have finished the Fonthill Tile Tour, I can finally start to get into the Christmas blogging spirit. All the outgoing presents are wrapped and sent out. Some of my Christmas cards are out, others are still in process. I will be very late this year. 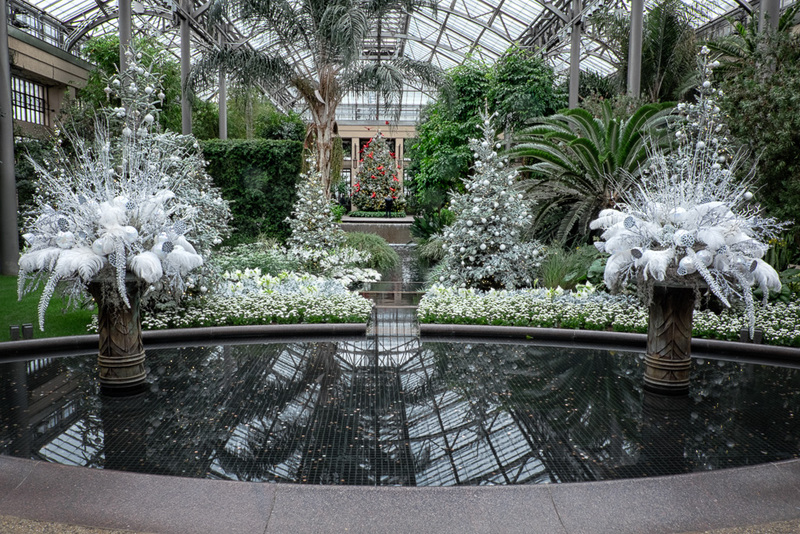 A week ago I was able to get out to Longwood Gardens with a good friend for a little Christmas photography excursion. It was a great day, but my creative juices weren’t really flowing. However, I was able to just step back and enjoy. This image took me forever to capture. People were walking in front of the far end of the water fountain. I waited, waited and waited. It seemed like forever, but I finally got a very short window of just a few seconds to snap this image. It was worth the wait. This entry was posted in Flora, Structures and tagged Christmas, Longwood Gardens on December 22, 2014 by kgrafphoto. This image is my first trial using Topaz’s new “Impression” software. I took a nondescript image with a distinct foreground, mid ground, and far field as the base of my experiment. I was pleasantly surprised of the interesting result. Below is the original RAW image. This entry was posted in The Grand Landscape and tagged Impressionism, Landscape, Longwood Gardens on October 1, 2014 by kgrafphoto. More wide angle practice. My objective for this image was to capture the details of the near field grass as well as the background of the tree line and farm house. I feel that the image would have been more interesting if I would have taken it from a slightly higher angle so I could have included some of the mid-ground. I knew better! 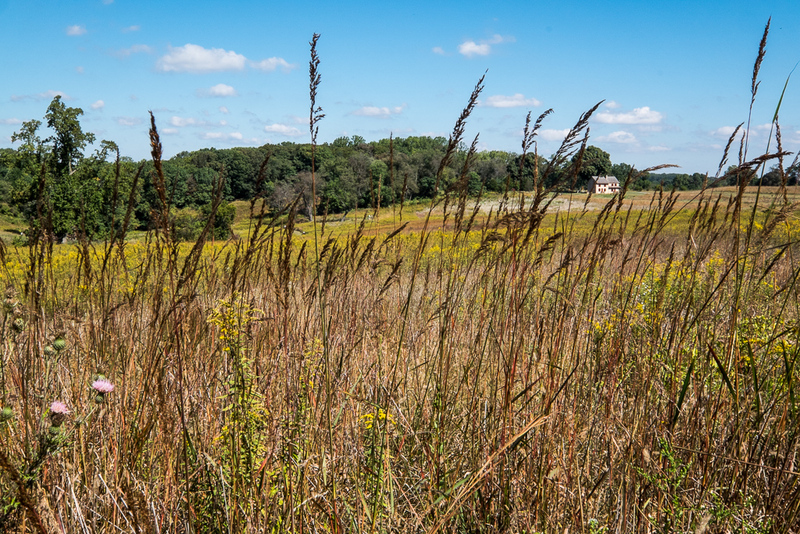 This entry was posted in The Grand Landscape and tagged Landscape, Longwood Gardens, Wide Angle on September 29, 2014 by kgrafphoto. During my walk in Longwood’s Meadow, I saw this single tree with the path curving around it. The leading line and isolated tree caught my eye. 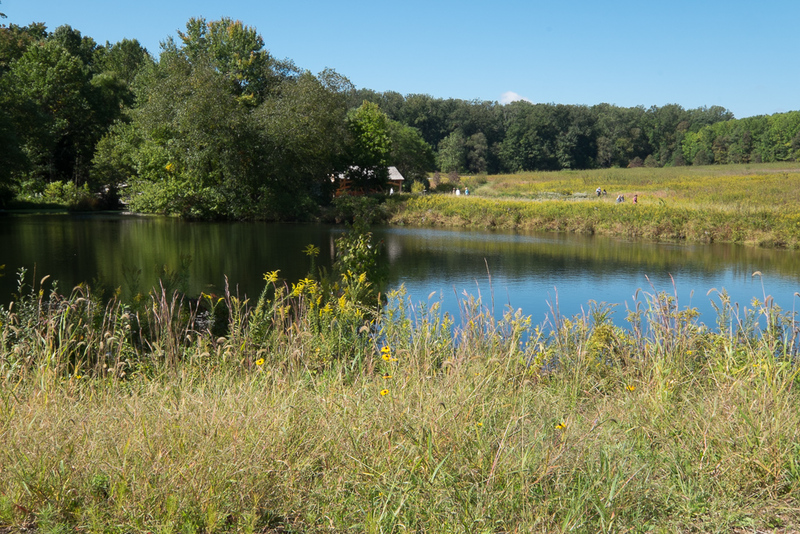 The wide angle helped place the tree in perspective with the expansive meadow. Again, my thoughts for the day were to work on wide angle perspectives and just enjoy the day. 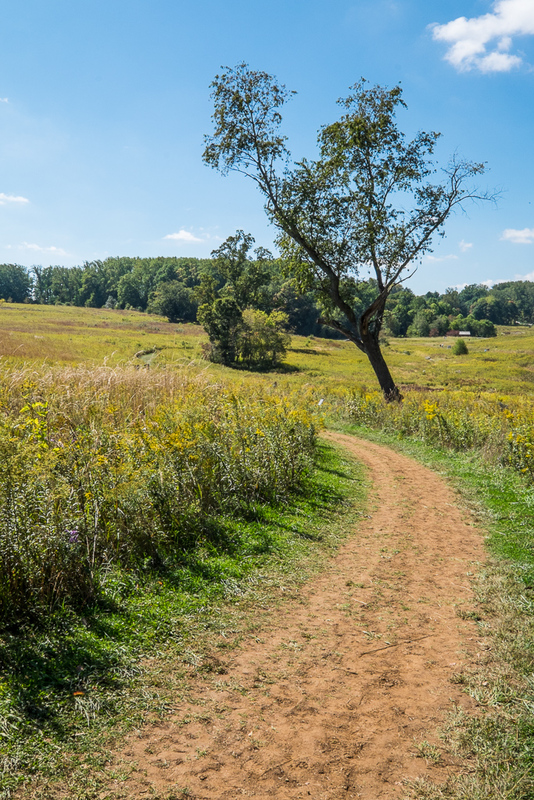 This entry was posted in The Grand Landscape and tagged curves, Landscape, lines, Longwood Gardens, Wide Angle on September 28, 2014 by kgrafphoto.